Prompt reporting also reduced concussion symptoms by two days and decreased the likelihood of missing more than two weeks of sport participation by 39 percent. The findings were published online March 20 in The American Journal of Sports Medicine. The findings make clear that athletes who “tough it out” are actually delaying their recoveries, said James R. Clugston, M.D., a UF associate professor of medicine and UF Athletic Association team physician. “It’s important to recognize and report concussion-related symptoms immediately. The faster you allow a medical team to make a diagnosis, the better your chances for a shorter recovery,” said Breton M. Asken, a doctoral student and lead author of the paper. Better, earlier awareness of concussion symptoms allows players to avoid exposing the injured brain to more impacts and exertion during the “window of vulnerability” thought to occur after a concussion, the researchers concluded. It also lets athletes get a jump on their recovery, Asken added. Ideally, an athlete who feels the effect of a force to the head would immediately quit their game or practice, get evaluated, and rest for 24 to 48 hours. 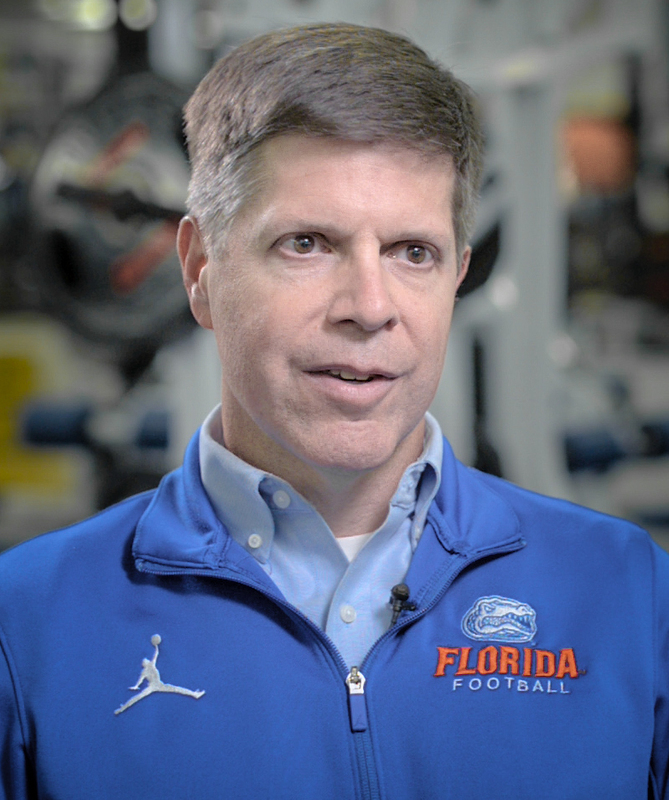 James R. Clugston, M.D., is an associate professor in the UF College of Medicine’s department of community health and family medicine, and director of the Sports Concussion Center at the UF Student Health Care Center. He also holds a joint appointment as a clinical associate professor in the College of Medicine’s department of neurology. Breton M. Asken is a doctoral student in the neuropsychology track of UF’s clinical and health psychology department in the UF College of Public Health and Health Professions. He has also been a certified athletic trainer since 2013.